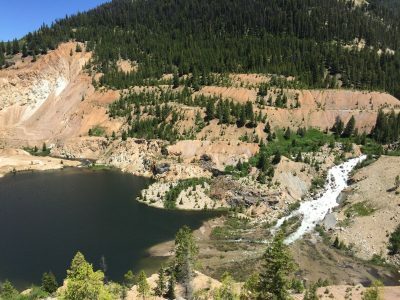 The river pours into an abandoned mine pit, salmon are blocked from their native spawning grounds and the water quality and habitat are degraded by sediment. These problems are the result of the site being abandoned after 100 years of mining activity. As the area waits for the funding and resources necessary for restoration, the issues facing the river are becoming more critical with each passing day. If you want to learn more about the problems facing the river and proposed solutions, feel free to read our in-depth report. Why is mining the solution? Prior mining companies created the problems facing the East Fork of the South Fork of the Salmon River, but mining today is much different than what took place in the past. We designed our proposed mining plan around the idea that we could, and we should, use our resources to fix the problems created generations ago and that continue to linger to the present day. 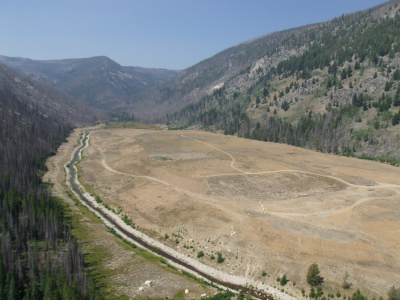 It will take a large investment to restore the East Fork of the South Fork of the Salmon River. Through the Stibnite Gold Project, we can provide the funding, resources and team of experts to create positive lasting change. 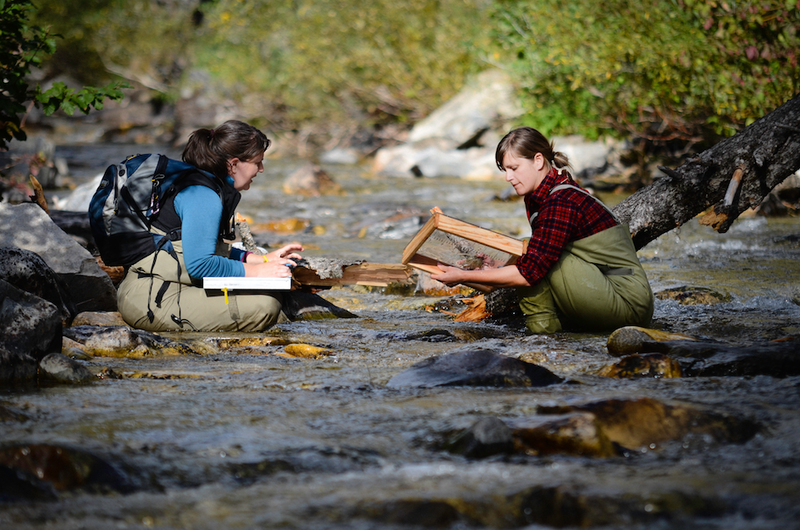 Our plan is designed to address the legacy impacts on water quality and reconnect fish to their native spawning grounds even before mining begins. During project construction and the first years of operations, millions of tons of tailings will be picked up, and reprocessed and safely stored. Sources of sedimentation will be fixed, and fish will once again be able to access miles of waterways and spawning grounds upstream. Most of the mining that occurred at Stibnite happened before there were environmental regulations or requirements on how to leave an area once mining was done. Today, our project must be thoroughly analyzed under the National Environmental Policy Act. There are 11 state and federal agencies reviewing all aspects of our plan as well as input from the public and interested stakeholders. After a complete review, these agencies will approve the final plan for restoration, operations and mitigation. We must follow the plan they accept under the law, including strict requirements about how we restore the site. Unlike mining that occurred decades ago, Midas Gold Idaho cannot, and will not, walk away. Before any work can begin, we must set aside all funds needed to restore the site. This ensures that the East Fork of the South Fork of the Salmon River will finally get the attention it needs. Limited restoration work has already taken place around Stibnite. However, those efforts, funded by tax payers and private parties, did not completely remedy the environmental problems. We cannot stand by and let water quality degrade and fish habitat be diminished. 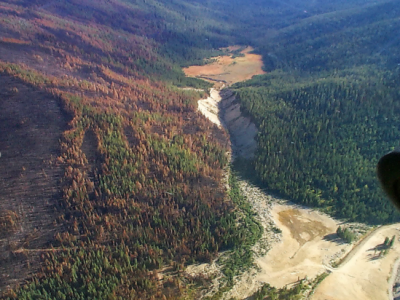 THE PROBLEM: The East Fork of the South Fork of the Salmon River flows directly into the abandoned Yellow Pine pit, blocking salmon from their native spawning grounds. THE SOLUTION: In the initial years of construction, we will reroute the river and bring fish back to their native home by installing a temporary 0.8-mile fish passage tunnel-designed with resting pools, lighting and the needed gradient and flow to provide a state-of-the-art system for fish migration. In year seven of the Midas Gold plan, we will backfill the pit with clean rock from other areas, reforest the area and rebuild the river channel much as it was prior to mining, allowing fish to permanently migrate upstream. THE PROBLEM: In 1965, a power generation dam failed in the upper reaches of Meadow Creek. More than 50 years later, the creek is now called "Blowout Creek" and still cuts through the hillside, creating a significant source of sediment in the watershed. Hundreds of tons of sediment wash downstream each year, degrading water quality and fish habitat. In addition, important wetlands have been lost because the water table in the upper valley has fallen by 14 feet. THE SOLUTION: While Blowout Creek is outside of the area we plan on mining, it is important to address this problem. In the first year of construction, we will install a rock drain to reduce sedimentation and, over the ensuing years, we will place a weir to raise the water table in the wetlands and reconstruct the stream channel. THE PROBLEM: As the East Fork of the South Fork of the Salmon River and its tributaries travel through our project site, they flow adjacent to millions of tons of tailings and spent ore (the material left over from previous milling and heap-leach operations) that lie on the valley floor. Because there is no liner, ground and surface water interact with the tailings and can bring metals into the river and groundwater. 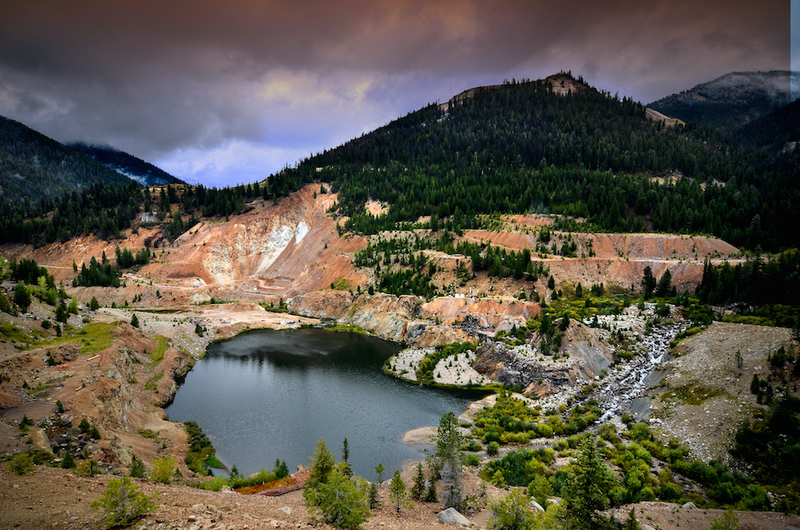 THE SOLUTION: Our project will reprocess 3 million tons of historic tailings and store the remaining material in an engineered and lined facility to keep metals out of the watershed. We will also repurpose 7.5 million tons of spent ore, removing a potential source of water degradation. When we are finished with this phase of our plan, we will reconstruct the streams to restore a high value habitat with floodplain connection. It is time to return salmon to their native spawning grounds, fix the water quality issues plaguing the East Fork of the South Fork of the Salmon River and prevent sediment from choking the river once and for all. We have a plan that can do all these things and leave the site better than before. But we need the community’s support. Please sign up to receive updates on our project and know when to provide your thoughts to the U.S. Forest Service as it reviews our permit.